Neodymium Magnets | SIMOTEC (THAILAND) CO., LTD.
Downsize by using a Neodymium magnet with the maximum magnetic characteristic! This is a magnet with a greater magnetic characteristic than all existing magnets, and the principal components are neodymium, steel, and boron. 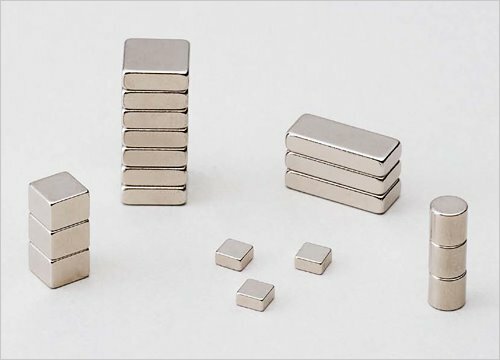 A Neodymium magnet is one of the major rare-earth magnets, and it achieves a high level of magnetism even after miniaturization because its power is greater than other magnets, so it is suitable for downsizing applications. 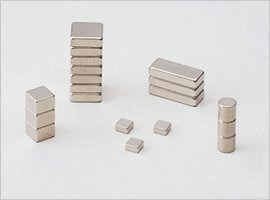 A Neodymium magnet has satisfactory mechanical strength, but is unsuitable for high temperature locations. Galvanizing is applied for anti-rust protection. It is suitable for small motors, sensors, and precision machines, etc. This value is the representative value, not the quality assurance value. We are proud of our magnet, electromagnetic wave and whiteboard. Please feel free to contact us about our products. We are also looking for distributors. ©SIMOTEC(THAILAND) CO., LTD. All Rights Reserved.